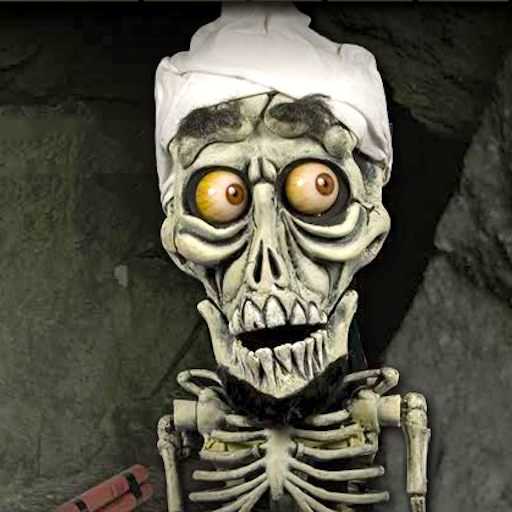 I assume you've heard of Jeff Dunham, the American ventriloquist, but you might be more familiar with his famous sidekick, Ahmed, the dead terrorist. This piece of elementary satire chronicling Ahmed's life is written in the Standard Habbie (albeit it doesn't follow the standard rhyme scheme) and was composed in honour of Jeff's wee, bushy-browed skeleton. It also takes a few pot shots, in passing, at Ahmed's fatal trade. you'd spare no one who tails your wake. when job is done, you're blown to bits. Your suicide is no brave act. And who shall weep at your demise? and prematurely set it off. your comic threat is heard by all. it sounds like you're a marionette. Silence – I keel you!